It's been a bit strange for me, not because of Valentine's, but it's my foot. 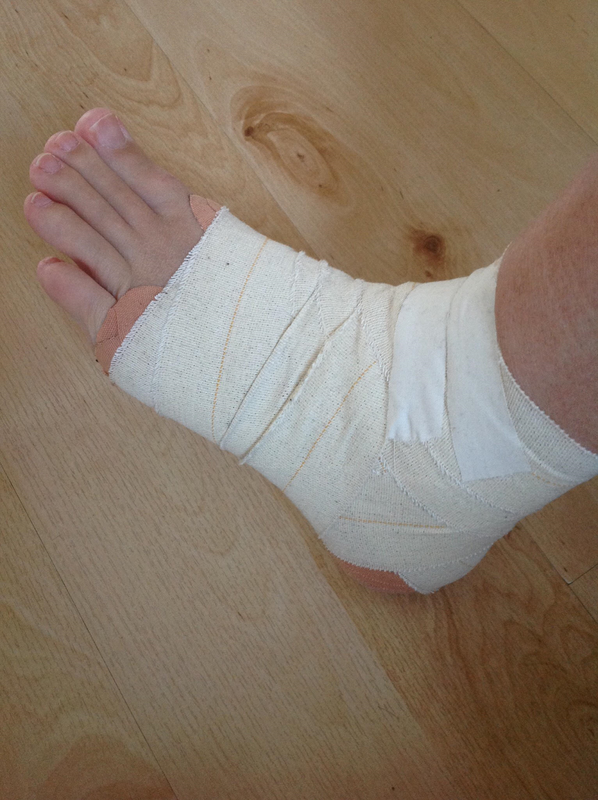 Which is sore at the ankle, it got "taped up" by the Fysio-therapist. How's your last couple of weeks been? Celebrated Valentine? Got foot issues? Found a new cookbook really cheap? Something else, do tell!! We'd love to know.